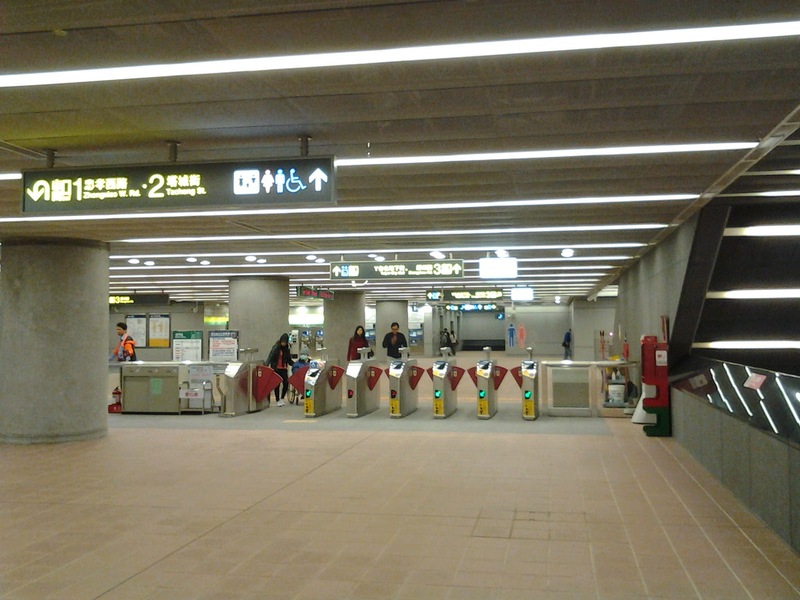 One interesting result of the completion of the MRT network is that all of the five city gates of Qing Dynasty Taipei Walled City now have stations named after them - Ximen (西門, 'West Gate'), Dongmen (東門, 'East Gate'), Beimen (北門, 'North Gate'), Nanmen (南門, 'South Gate') and Xiaonanmen (小南門, 'Little South Gate'). This highlights the infrastructural importance of the gates and of the boulevards which the Japanese constructed after the city walls' demolition in the early 20th century. 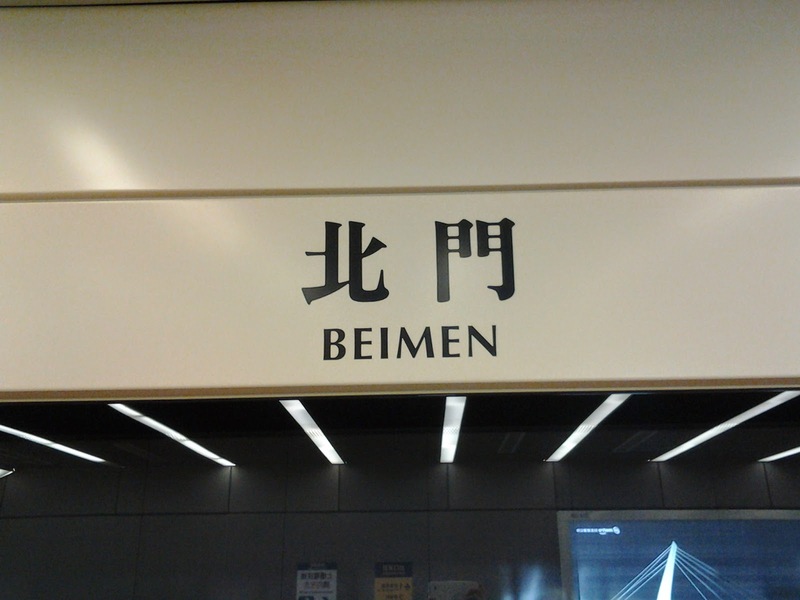 I decided to visit Beimen MRT Station, which is in many respects different from all other underground stations in Taipei. 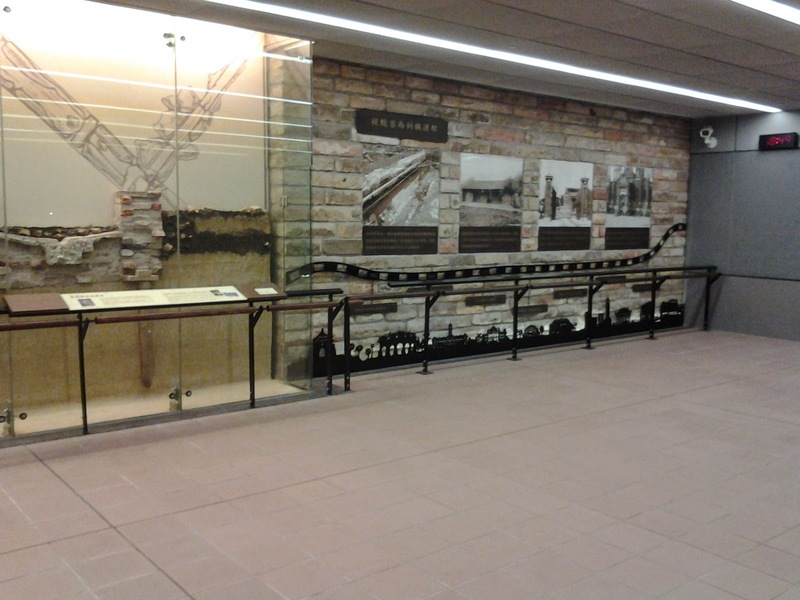 Because of its historical significance a section of it has been turned into a permanent exhibition about the history of that area from the Qing Dynasty to the present. 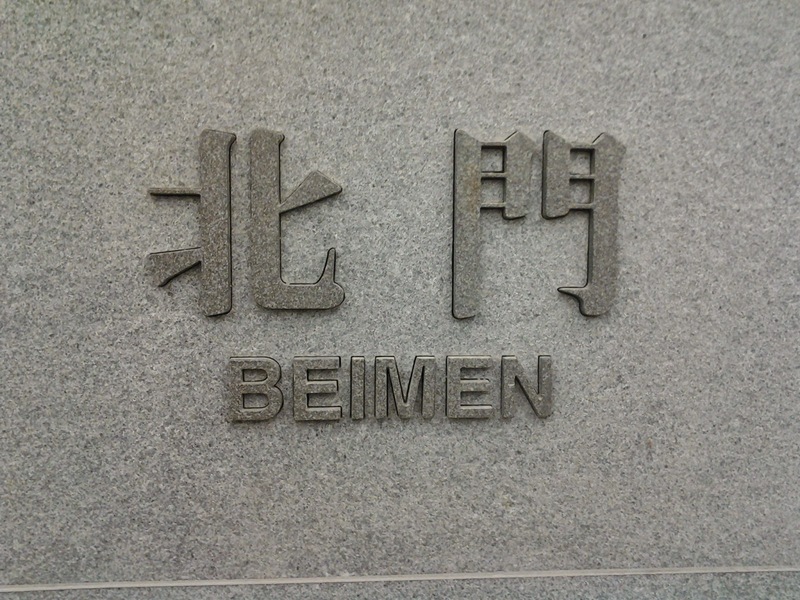 Beimen MRT Station is located on the site of the former Qing Dynasty Arsenal (清代機器局), which was built in 1889 during the tenure of Liu Mingchuan (劉銘傳), a self-strengthener who, upon being appointed first governor of the newly established Taiwan province, embarked on a programme of modernisation. Although his accomplishments seem modest when compared to the achievements of the Japanese colonial period (1895-1945) and the Taiwanese economic miracle that began in the late 1950s, under Liu Mingchuan Taiwan became the most advanced province of the Qing Empire. 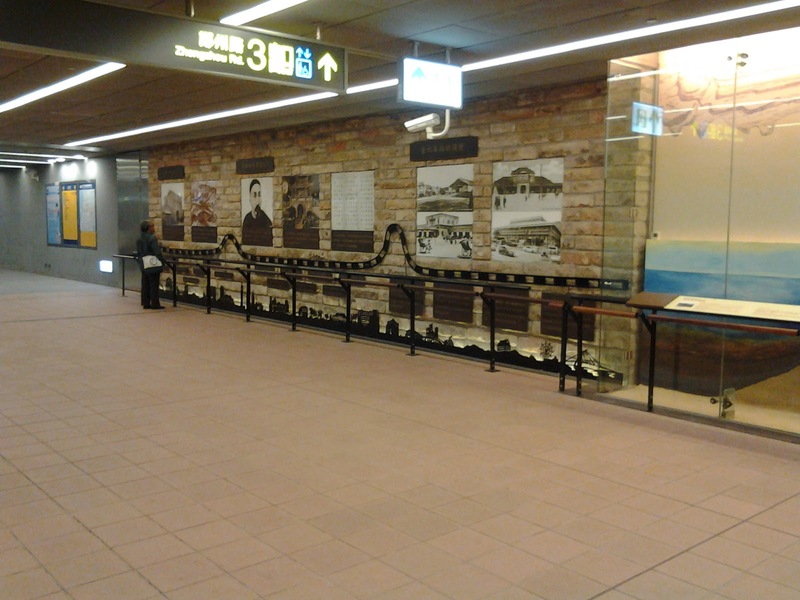 During his term of office, some of Taipei's buildings and streets were electrified, the first railway line (from Keelung to Hsinchu) was constructed, a telegraph line was installed (the first in the whole of China), and the island's defences were improved. The Arsenal was an essential part of Liu's self-strengthening efforts, which were based on the idea of using Western science and technology to defend the empire from foreign aggression - an adaptation of the old tenet "use barbarians to subdue barbarians" (以夷制夷). 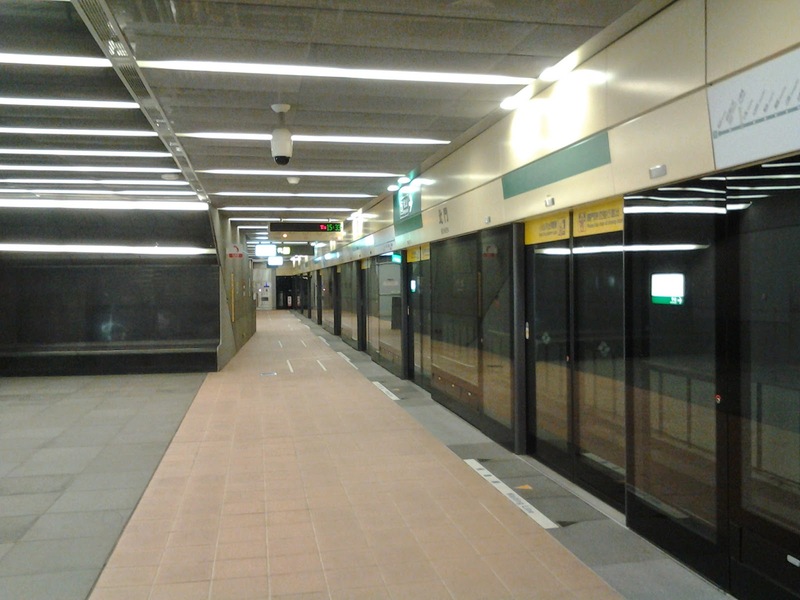 Beimen Station is small compared to other MRT stations in Taipei, but it is as modern, futuristic and functional as any other station built in recent years in the city. The reason why Liu Mingchuan was so eager to develop Taiwan's defences was that the island had been invaded during the Sino-French War (1884-1885). Liu was at the time governor of Fujian province, to which Taiwan belonged. His experience with foreign expansionism had made clear to him that the empire wouldn't survive if it didn't match Western military and technological achievements. The French invasion prompted the court in Beijing to grant Taiwan provincial status and appoint Liu as its first governor (see Murray A. Rubinstein: Taiwan: A New History , 2007, Chapter 7). The Arsenal stood north of Beimen, outside of Taipei Walled City, in a section of wasteland that lay between the walled city itself and the neighbouring settlement of Dadaocheng (which is currently part of Taipei City's Datong District). 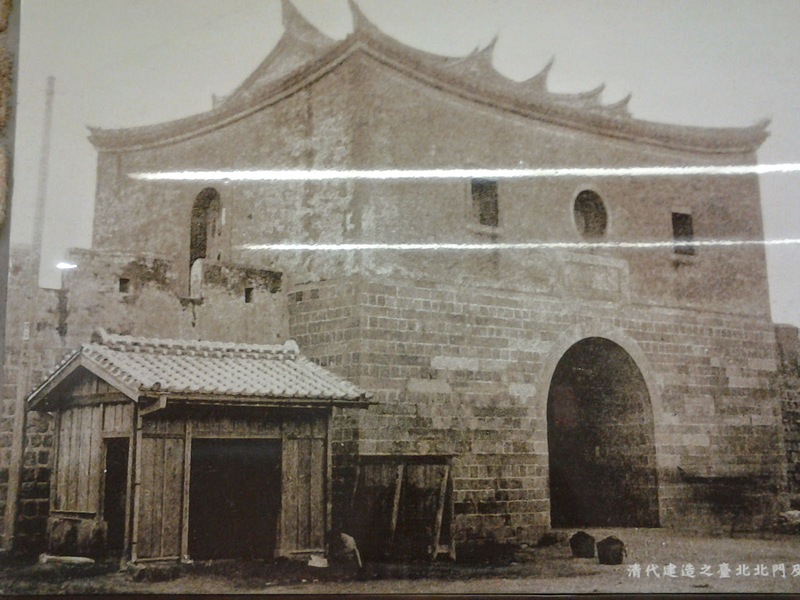 In the 1880s, Dadaocheng was more populous and prosperous than Taipei Walled City, which was a rather sparsely populated town whose main purpose was to serve as the administrative and cultural centre of the new province. The rise of Dadaocheng reflects an important social, demographic and economic shift that took place in Taiwan in the 19th century: the growth of the north and the relative decline of the south. While in 1811 Taiwan had a population of around 2 million and 70% of them lived in the south, by 1893 the population had reached around 2,6 million and 30% of them lived in Taipei Prefecture. 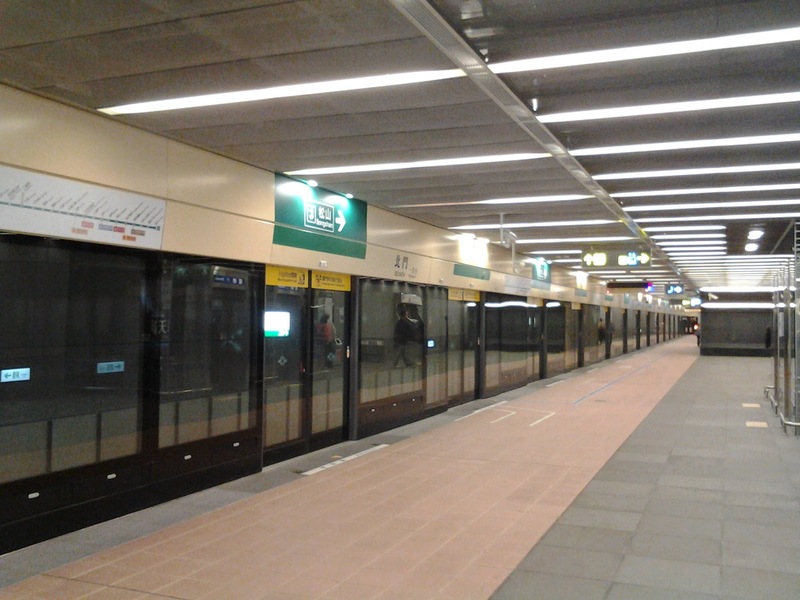 This development was caused by Taiwan's integration in the global economy, which already began at the turn of the century. Trade expanded further when the Qing Empire was forced to open up the port city of Danshui to Western merchants, following China's defeat in the Second Opium War and the signing of the Treaty of Beijing (October 1860). Danshui soon developed into a major trade hub, with tea and camphor as Taiwan's main exports alongside rice and sugar. The originally small settlement of Dadaocheng on the Danshui river became a thriving trading town. By the end of the 19th century Dadaocheng had 31, 533 inhabitants, more than the older city of Mengjia (Bangka), which had around 24,000 (see: Rubinstein 2007; Emma J. Teng: Taiwan's Imagined Geography , 2006, p. 207). Dadaocheng also had a small foreign community and several foreign consulates and trading houses. Recognising the geopolitical importance of the north, Liu Mingchuan chose Taipei as the seat of the provincial and prefectural government instead of the southern city of Tainan, which had been the capital of Taiwan prefecture prior to 1885. 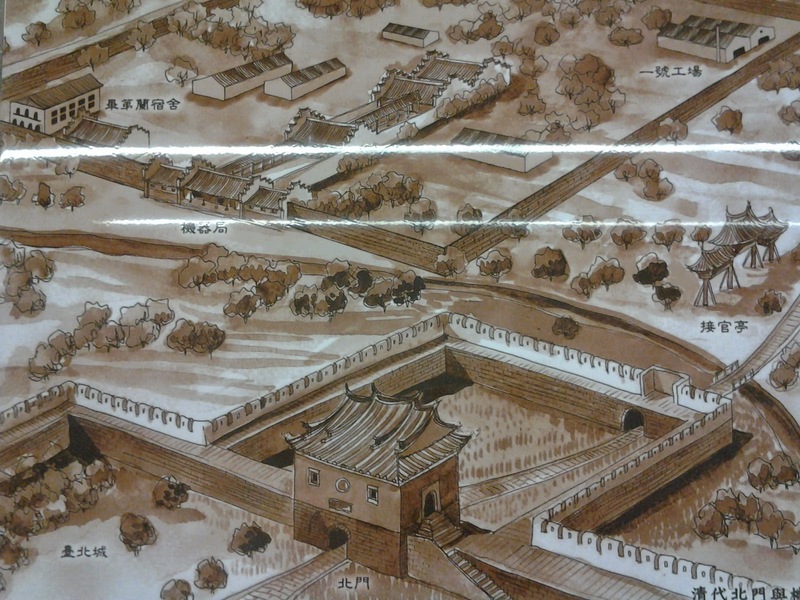 Liu Mingchuan initiated the construction of gates, defensive walls, temples, study halls and government buildings. 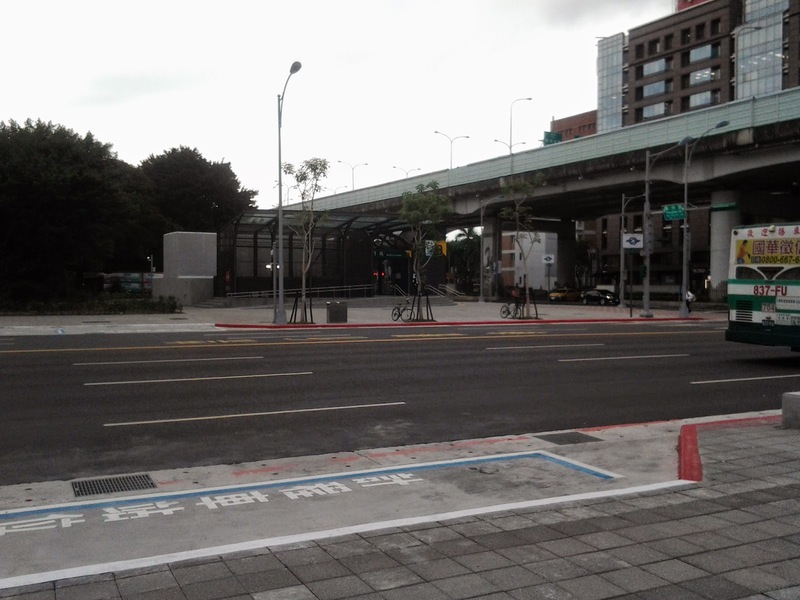 The rise of Taipei and Dadaocheng went hand in hand, as the establishment of the first as the island's administrative centre obviously boosted the latter's role as a trading hub for foreign companies. 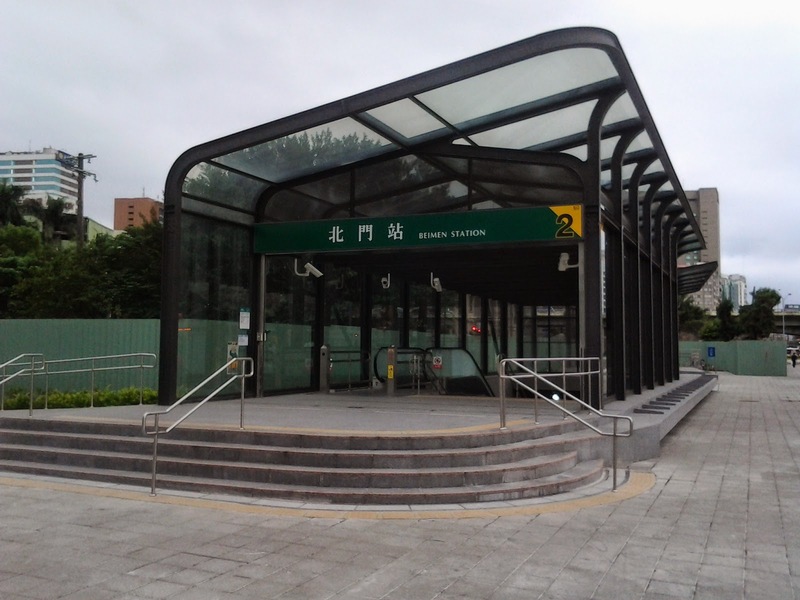 While Taipei was constructed following a traditional Chinese pattern, Dadaocheng was more "modern"; it boasted Taiwan's first railway station, foreign-owned Western- houses and the aforementioned Arsenal. 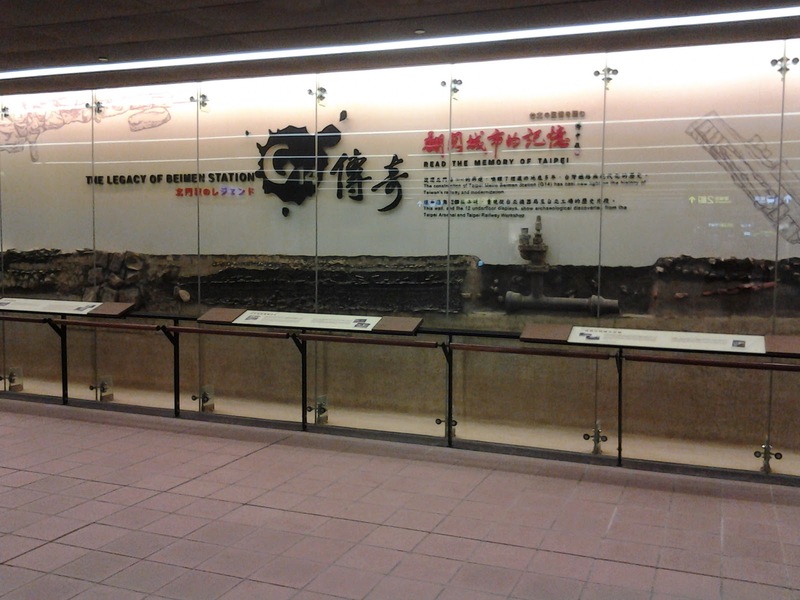 The exact location of the Qing Arsenal wasn't known until the excavations for the construction of Beimen MRT Station started and the remains of the complex were found. Archaeologists unearthed the foundations of the buildings as well as various surviving artifacts. 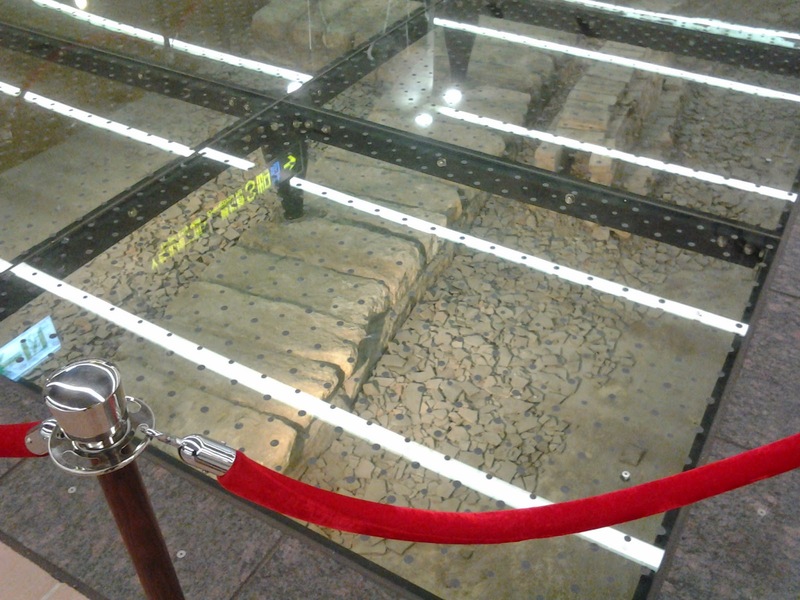 They also found the remnants of the Sijin Yamen (四進衙門, literally "Four entries government office"), the office of the governor, which consisted of four halls. The complex of the Arsenal occupied an area of about 900 square meters, and it was the first modern arms and munition factory in Taiwan. 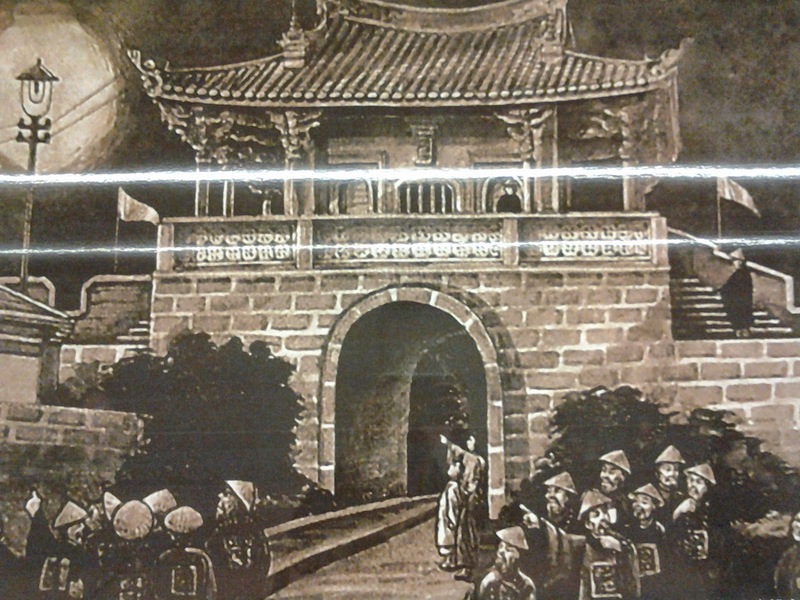 Since Qing officials didn't possess the technical knowledge to set up such an arsenal, they invited foreign experts and investors. The building combined traditional Chinese and modern Western construction techniques. The output of the factory was modest as it produced only enough ammunition as required for the soldiers' daily drill. Nevertheless, as the only modern industrial plant in the area, the Arsenal soon turned into a multifunctional factory. Apart from military items, it also produced material for the construction and maintenance of the Keelung-Hsinchu railway; and in the 18th year of the Guangxu Emperor (1892) a coining press machine was also installed. One of the foreigners who helped with the construction of the Arsenal was Count A. Butler (Graf Arthur Butler), a German merchant who founded Butler & Co., active in the profitable camphor trade in the 1890s. Butler also served as German Consul in Taiwan (known as Formosa in the West at the time) (see Harold M. Otness: One Thousand Westerners in Taiwan , 1999, p. 24; Butler is also briefly mentioned in the 'German Colonial Newspaper' [Deutsche Kolonialzeitung], 1897, p. 44). Butler served as chief engineer of the Arsenal and was rewarded with a lease of the building's dormitories (see picture below). According to James W. Davidson, a US citizen who lived in Taiwan in the 1890s, the residence of Count A. Butler was "several blocks to the south back from the [Danshui] river and near the Arsenal". The building in the red circle was the workshop. The building in the blue circle (top left) was the dormitory leased to A. Butler. Prior to the Japanese invasion of Taiwan in 1895, Count Butler provided the last governor of Taiwan, Tang Jingsong, with 5,000 Mauser rifles to defend the island (Henry Tsai: Maritime Taiwan: Historical Encounters with the East and the West , 2009, p. 126). After the Japanese takeover, the lease Butler had obtained from the Chinese administration caused a legal dispute with the new rulers. The Japanese used the area of the Arsenal and of the Sijin Yamen to build the Department of Railways, the Workshop N. 1, a repair factory and dormitories. While the Department of Railways is being renovated, other structures are still in a state of decay. In 2009 the Arsenal was declared a historic site.